Conversation around the Thanksgiving table can be tricky. You might be with relatives you haven't seen since last Thanksgiving, you might have a tween with her phone glued to her hand, your cousin is home from college with new political views, your nephew just got back from hiking and has vowed not to eat meat anymore, there are a bevy of reasons that conversation might be a little tricky this year. So what do you do? There are several courses of action. In my family, icy silence was always a treat, but I don't recommend that. Instead, let's explore a few different ideas as to how Turkey Day can be survived or even enjoyed this year. Eating differences. There he is, the same nephew who always insisted on the turkey leg since he was 2, insisting that he "doesn't participate in the murder of animals any more." Instead of a fight (you will lose this fight) ask him about the specifics of his new diet, and the reasoning behind it. He might have a very good reason not to eat meat any more, and a conversation is always better than teeth-gritting silence. Politics. This is a tricky one, especially this year. This is one to be avoided, and yet it is the one that is most likely to be brought up. Here's the plan I have in mind for this year: Get the two people ready to jump into a fight to do something together. Have them set the table, or make the mashed potatoes and baste the turkey, anything you can think of to get them to do something active. This might not work, I know, but having them do something active together might deter them from just sitting there and yelling at each other. Godspeed on this one, folks. The Tween Terror: Oh man, I remember this one. I WAS this one, before cell phones and the internet. I was such a miserable tween I would actually remove myself from the scene and find a television to watch in the furthest corner of the house. And you know what? Sometimes that's not so bad. Your tween might have social anxiety, or is going through a mood, or is just being a butthead. Let them be, to an extent. No phones at the table is a steadfast rule to follow. Absolutely not. But a bunch of adults talking for hours beforehand is understandably not something a tween will be excited about, so let them have their space before the meal, with the understanding that the phone goes bye bye once the bird is on the table. Give an inch, not a mile. And if none of these things work? If you're sitting around the table with that frigid silence that you worked so hard to avoid? Call upon an elder. Choose the one who is the best at telling stories and ask them to tell a tale of a Thanksgiving past. You can learn about your family and it will probably be a funny story to remember. If that's a bust, put the family pet on the table. That worked two years ago with my family. 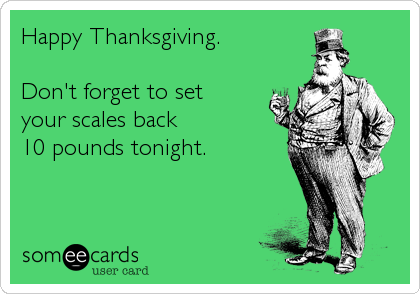 Good luck, everyone, and may you have a very happy Thanksgiving! Farm to Feast: Best Brussel Sprouts Ever! !